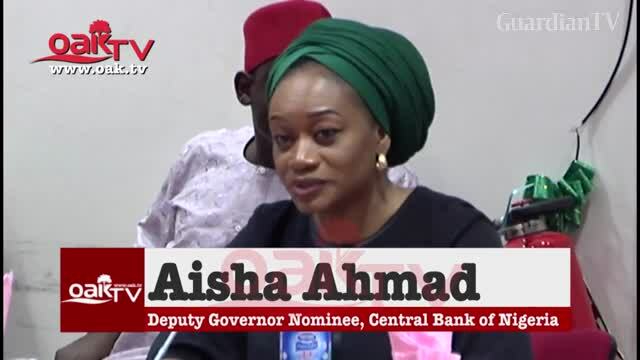 Ahmad was appointed as Deputy Governor of Nigeria's apex bank, the Central Bank by President Muhammadu Buhari. This is a well deserving honour and we are with you our own Aisha Ahmad. We have no doubt that you will use this office to promote the course of humankind as you have done in the banking industry. We need to have young, vibrant and intelligent minds like you to run leadership positions in this country. Well done and God is with you already. We, at Diamond Bank’s IT, are all so very proud of you! Well deserved appointment! With your great achievements and contributions to the growth of Diamond Bank Plc, I believe with no skepticism that you will do very well at your new appointment, moving our apex bank to a greater height. Wishing you all the best Madam.